When it comes to treating my body I'm probably the worst person for it, I have an abundance of body butters and moisturisers but can't actually remember when I last used one. I am however quite good at exfoliating, I might not do it enough to my face but I try to exfoliate my body at least twice a week, and always turn to Soap and Glory for the exfoliator. Over the past year I've tried around five different exfoliators from Soap and Glory, and this is defiantly my favourite from the bunch, making it the only one I've actually repurchased. 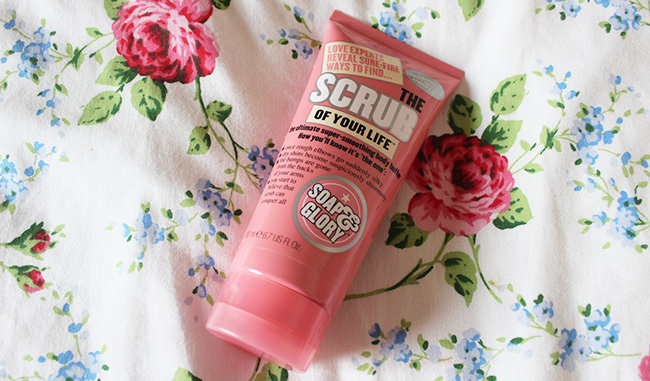 It has the typical Soap and Glory scent, similar to The Righteous Butter and Clean On Me, so very girly and my favourite scent offered by Soap and Glory. The scrub itself is a clear gel with pink micro beads and small grains that help to gently exfoliate the skin and remove any dead skin cells. 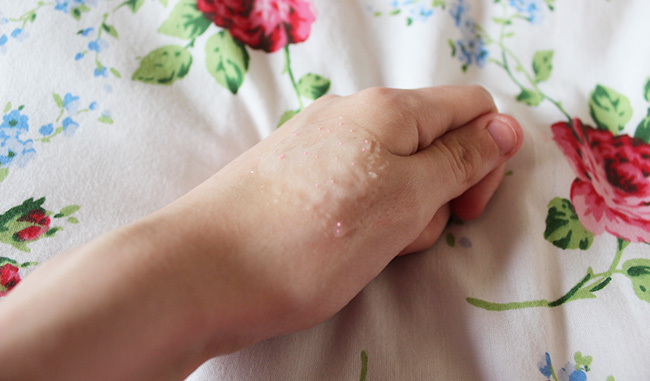 In the past I've found some Soap and Glory exfoliators to be a bit too abrasive, such as the Sugar Crush Body Scrub, which left my skin red and stinging after using it, but with this one the gel starts to lather up when water is added, making the exfoliator a lot more gentle, so it's perfect for even dry skin. Thanks to it lathering up it also becomes slightly creamy and has slight moisturising properties to it, making it ideal for lazy people like me! Probably one of my favourite things overall has to be the fact it is in a tube as opposed to a jar, it's a lot easier to get the product out, making it a lot more encouraging to use. I can't be the only one who is less likely to use something that comes in a jar, especially when taking a shower? I can't recommend this exfoliator enough, it's gentle to the skin but is still abrasive enough to lightly buff away any dead skin leaving my body feeling super soft and smooth. It retails at £7.00 for 200ml and lasts around 3 months of using it twice a week. Next time you're in Boots in need of new body care make sure this is near the top your list! my dear your blog is amazing !!! ps. win a pair of raybans and a beauty goodie bag worth nearly £300 in my new giveaway! click here.